Follow the main hall to view the collection in chronological order . 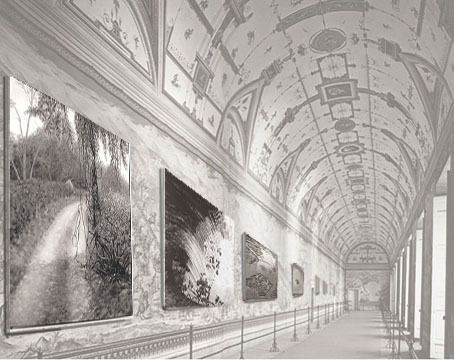 Each room features selected artworks from a single year, and connects to surrounding rooms in chronological order. Viewing the artworks in the order in which they were created can enrich an appreciation of the work. After exploring for a while, visit the museum gift shop. If you would like to explore even more areas of research, return to the Lobby for more options.